Shoes are an essential part of your dressing. If you full dressed up, but you ignore your footwear than your all personality will go down. We never think about shoes as it’s secondary importance in our routine life setting. According to doctors, if your feet are restless than your whole body will get disturbed and this is fact. So, try to make your feet more comfortable and relaxed by choosing better and soft brand for your feet. The new BRUCEGAO’s Exotic Leather Shoes are here to comfort you. These shoes are as classy as people want. The shoe must be comfortable while wearing it and after using it, the feet feel relax. If you want to walk more, or by chance you have to do some walk to reach to your place, the shoe must be faithful but if, it starts cutting your feet than it will affect your full body badly. Always try the shoe before purchase it. BRUCEGAO gives you comfortable shoes along with warranty so you can change the size and design later. Good shoe quality is to keep your feet temperature, normal but the shoe fail to manage it than change it straight-away because many legs and other body’s disorders are because of unhealthy feet. So, if you want to stay healthy and happy, keep your feet healthy by giving them BRUCEGAO’s foot-wares. You should check the adjustability of the shoe, like, Velcro is working or not or how much your shoe strips are adjusting. Wear your shoe twice and make a walk, so you can realize that is it good for your feet or not. BRUCEGAO is giving you unlimited shoes for both men and women. 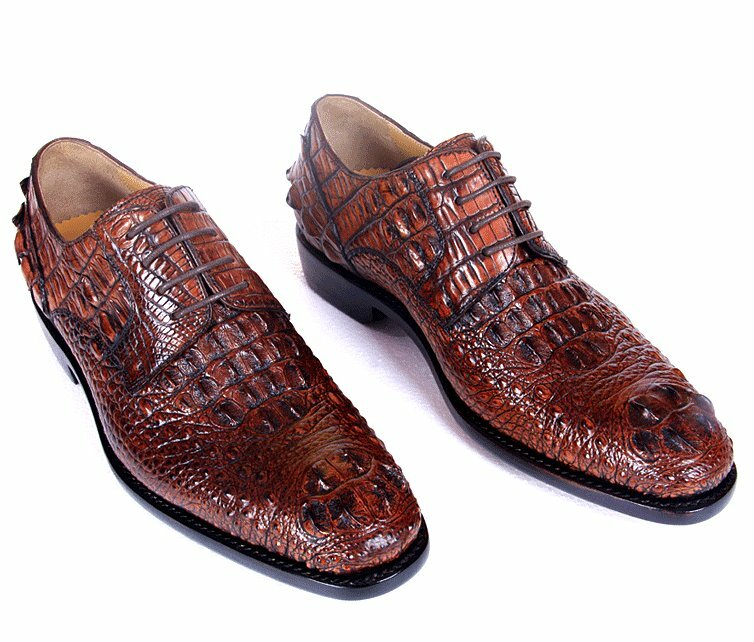 We are specializing in making one of the best and exotic quality leather shoes. We have highly trained and professional designers and workers, who did their work with hard work. Our shoe designers are graduated from a well-known institute in the world. We pick them from a different region of the world, to give our customers a unique and unusual pair of shoe. In BRUCEGAO, we are manufacturing pure leather of different animals, like, caw, crocodile, leopard, and snake. 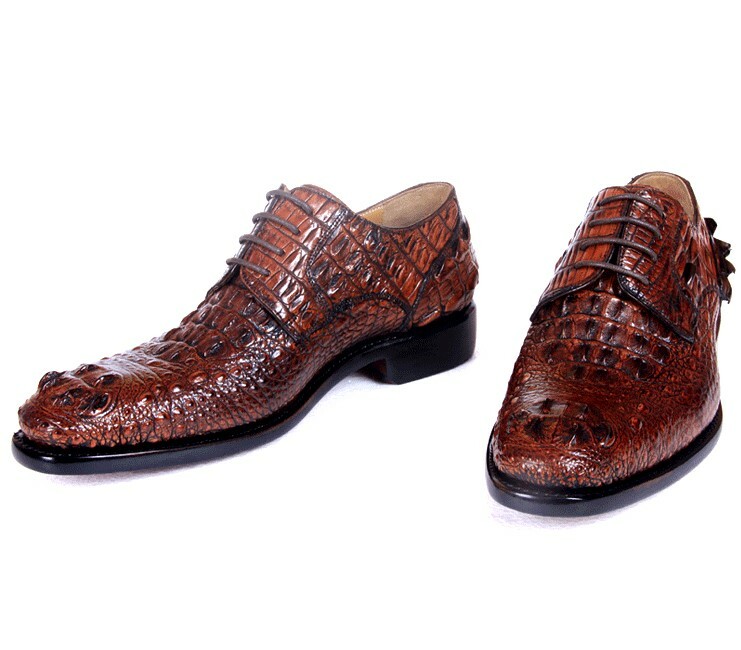 Undoubtedly, we have exotic leather shoes that are very expensive, and some of them are making on order. We are giving you leather shoe along with special leather shoe polish and bag, to keep the pair safe from stains and other chemicals. Make sure you are following the instruction that is listed with the shoe box. If you want to keep these shoes for a long time, keep them in your closet after using it. Keep them away from water. If you want a classy and trendy foot-wear, BRUCEGAO is here with its exotic leather shoe line, grab your pair today.